Absolute Foot Care Specialists proudly announces that we will continue, without any delays, our stellar foot care on all furloughed Government workers affected by the shutdown. Our main goal and mission is simply to get you better by any means possible! We are proud to accept these major insurance providers and over 50 additional insurance plans. The residents of Las Vegas know how to work hard and live well—and few members are more hardworking than your own feet. Whether you spend your day standing or walking at work, or you’re here to enjoy your retirement, your foot health matters. Too many friends, neighbors, and loved ones feel pain every day, struggling to keep up at work, giving up hobbies, or sitting out family functions because of the discomfort. Sometimes you live that way for so long, you don’t even realize that this isn’t normal. However, you can get help that will allow you to live your life the way you want to again. That's where Absolute Foot Care Specialists and our Southern Nevada Heel Pain Center step in. 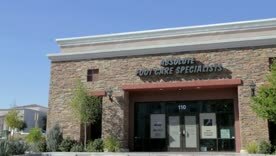 At Absolute Foot Care Specialists, our mission is to end your pain now. We believe that the best care is possible through old-fashioned relationships combined with state-of-the-art treatments and technologies. We know that most foot pain can easily be managed and eliminated using entirely conservative methods, so you don’t have to worry about unnecessary surgeries and long recoveries away from work. Dr. Noah Levine values your time. Our whole team strives to get to know each patient, discussing your concerns with you to be able to tailor treatments to your needs. We want to make sure you get the best possible care without long waits, too, so we do everything in our power to get you in by or before your appointment times. Visit or New Patients page for more information, or review our list of accepted insurance plans. 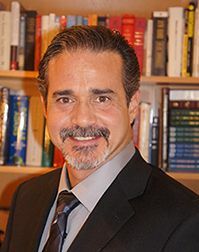 Southern Nevada Heel Pain Center – Heel pain can be a complicated, chronic issue with many different underlying causes, including plantar fasciitis, Achilles tendinitis, heel spurs, stress fractures, and even nerve entrapment. Our Southern Nevada Heel Pain Center is dedicated to the treatments and relief people from all walks of life need when pain becomes a persistent problem. Neuropathy – Pain is a sign that something has gone wrong, so if you can’t feel things correctly, you’re more likely to develop serious health issues. Nerve damage like neuropathy can be uncomfortable and make it much harder for you to recognize foot problems. We offer innovative technologies to encourage healing and manage nerve pain, including Combined Electrochemical Treatment (CECT), physical therapy, plasma exchange, and more. Bunions – They may start out as just annoying, but bunions can quickly become serious deformities that limit your mobility and dictate what you can wear comfortably. We can help you use conservative treatment to manage this condition—and if it ever needs surgery, our experts will be with you every step of the way. Hammertoes – Bunched up, bent toes are not only uncomfortable, they restrict your foot movement and limit your shoe choices. Conservative treatments are normally very successful for straightening out a still-flexible digit; however, if your toe has stiffened, we can discuss surgical options with you, too. Ingrown Toenails – Nails that grow sideways and into your skin are painful and can open you to infections. We can help you with early prevention to avoid the pain of an ingrown nail, but for the times when it’s already a problem, we offer immediate relief with a quick and simple procedure. Fungal Toenails – Nail fungus is a chronic infection that can seriously damage nails. We use a variety of techniques to eliminate this infection altogether and prevent it from coming back, including oral or topical anti-fungal medication, or even removal procedures for advanced and stubborn cases. We also strongly believe in other noninvasive methods designed to keep your feet functioning at their best, including custom prescription orthotics and physical therapy. Declaring we “end foot pain now” is more than just a catchphrase or a nice slogan for us—it’s a commitment we make to you and your loved ones. We want to make it as smooth and easy as possible for you to be able to live the life you want without pain. For that reason, we have three convenient locations around Las Vegas and are available for some evening appointments, making it easier for you to get the care you need without worrying about time off work. We look forward to having you in our office so we can help find you relief today. Call (702) 839-2010 or use our online contact forms to make an appointment so we can get started! 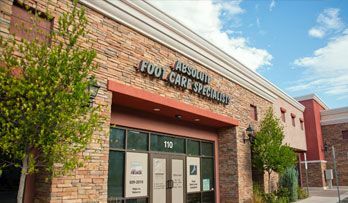 Welcome to Absolute Foot Care Specialists Absolute Foot Care Specialists was started by Dr. Noah Levine in 2002. Eleven years later the practice has two expert doctors to serve the Las Vegas area. EPAT for Heel Pain Absolute Foot Care Specialists of Las Vegas now offers Extracorporeal Pulse Activiation Technology (EPAT) for the relief and recovery of painful heels. ?What should I do about an ingrown toenail? Posted on 06/19/2017 Tell Us How We're Doing!